Hello friends! This is Tina from The Scrappin Rabbit blog and I have a Spring project to share. I made some toppers to decorate some goody bags to give to my friends for a crafty meetup. 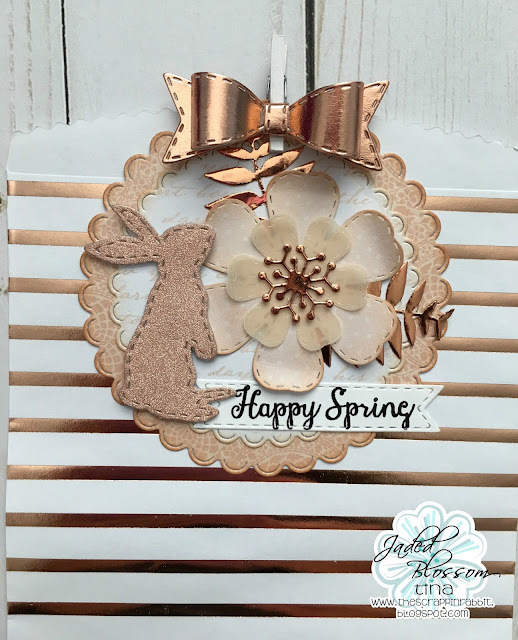 I used the sweet little bunny die from Spring Dies 1 (version 2). I cut it them out using rose gold glitter cardstock. I created some pretty flowers using colored vellum, patterned paper, foil cardstock and the new Flower and Tropical Flower Dies. The Scallop Circle Dies worked perfect for this bag topper. I inked the edges with distress ink. 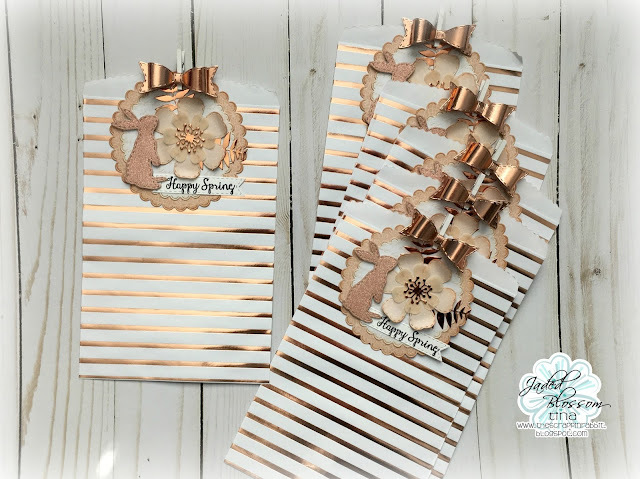 The stamped banner is from the Mini Tag Dies 2 and the sentiment is from the Easter Circle stamps. Love the pretty toppers! Awesome job!